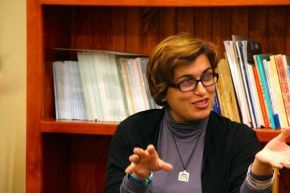 Dr Olivera Simić is a Senior Lecturer with the Griffith Law School, Griffith University, Australia and a Visiting Professor with UN University for Peace, Costa Rica. Her research engages with transitional justice, international law, gender and crime from an interdisciplinary perspective. She examines the excluded or silenced narratives of wartime sexual violence among women belonging to so-called 'perpetrator' war-torn nations. In particular she focuses on the silence surrounding Bosnian Serb women's experiences of wartime sexual violence.